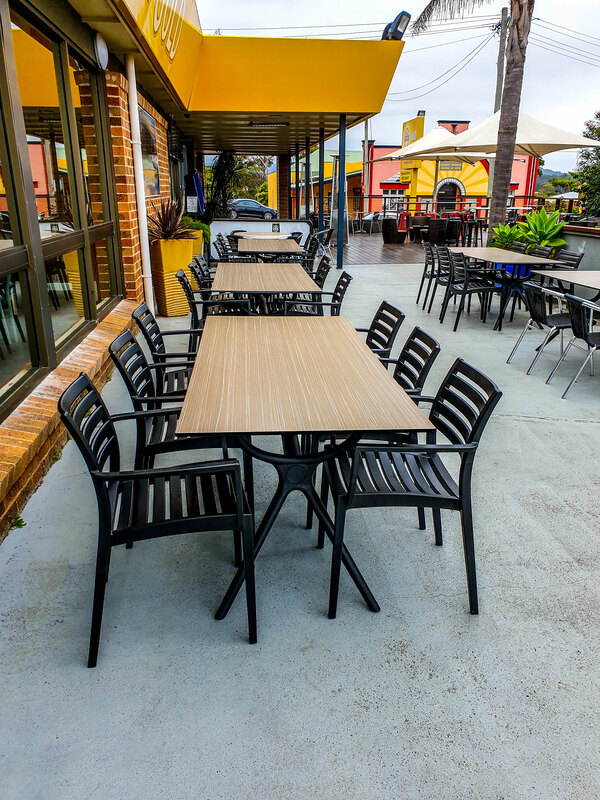 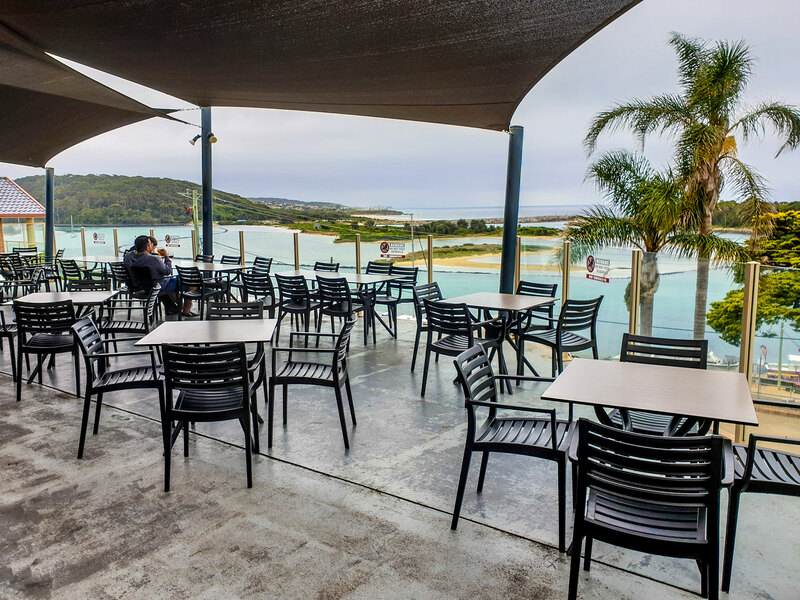 Perched on the rise of Campbell St in Narooma, is the Narooma Hotel. 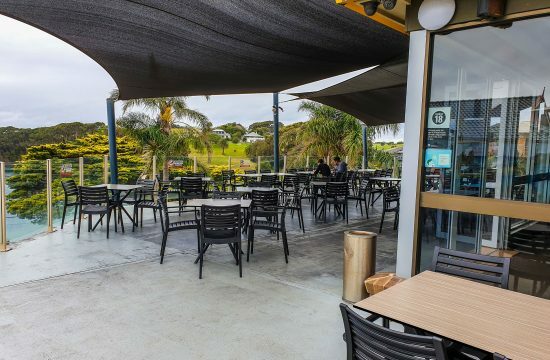 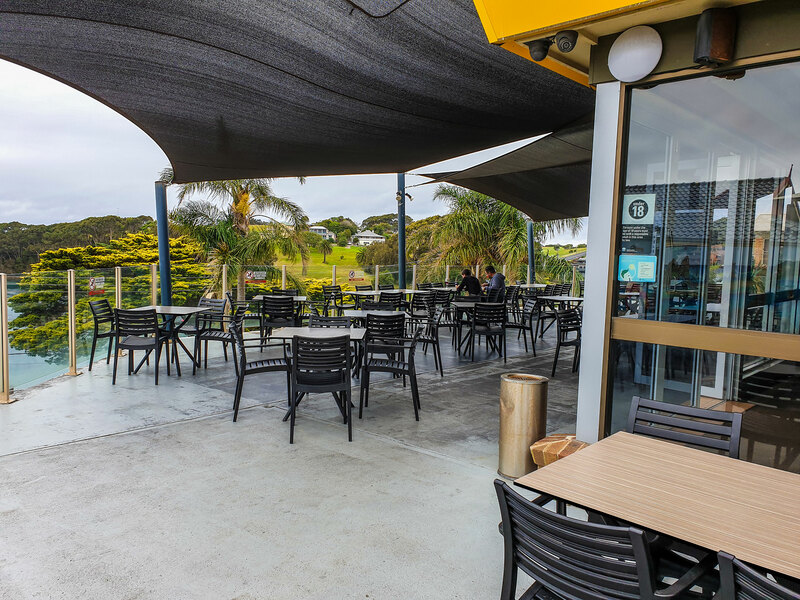 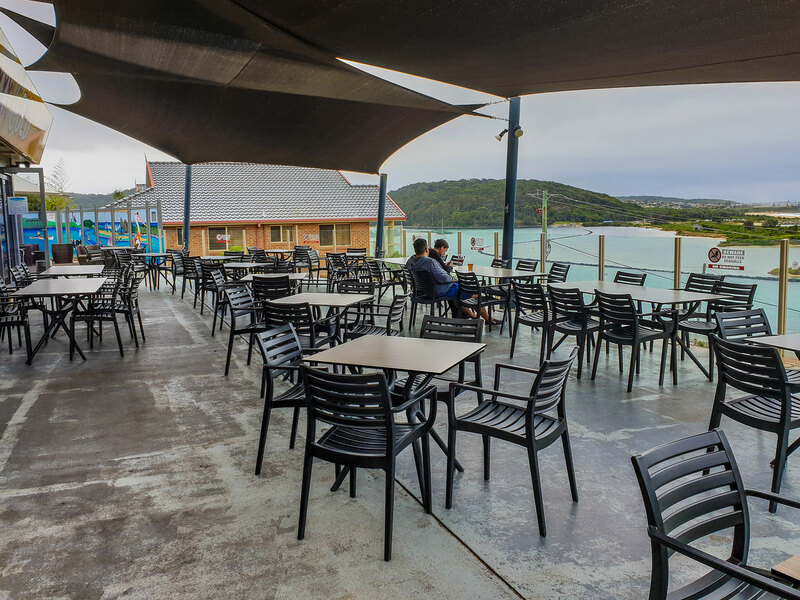 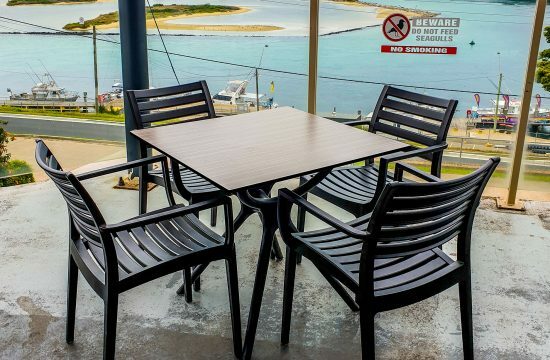 Enjoying breathtaking views of the Wagonga Inlet looking out to Wagonga Head and the Pacific Ocean, the Hotel is known for its million dollar views. 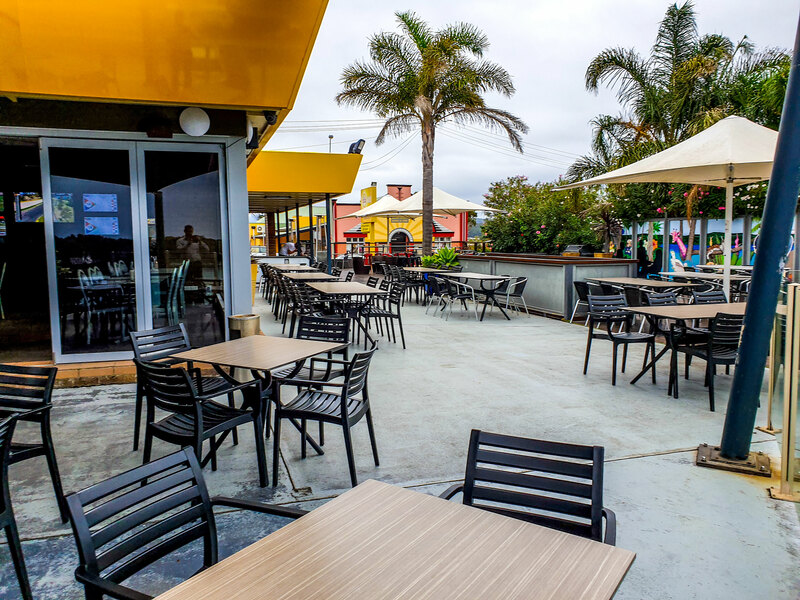 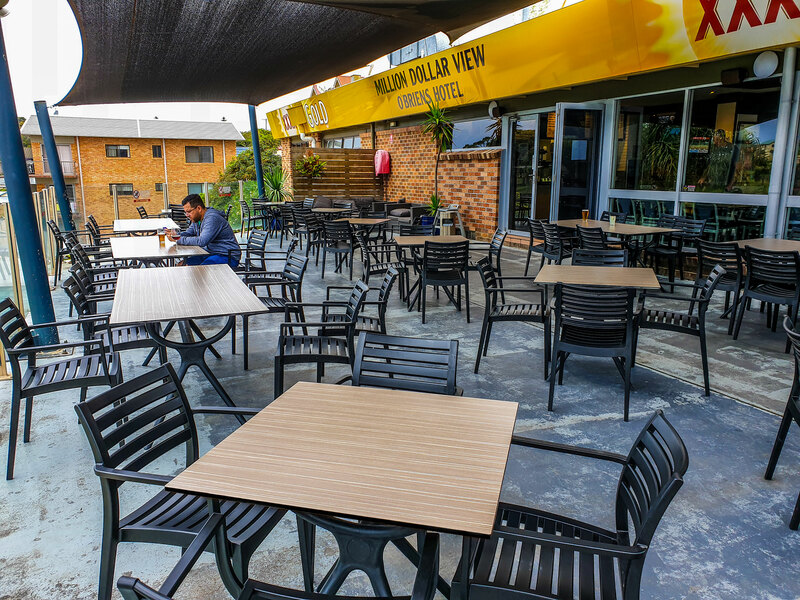 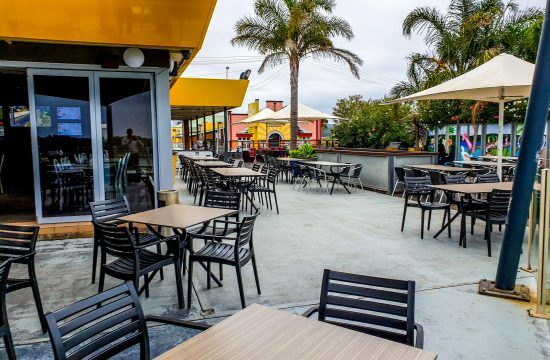 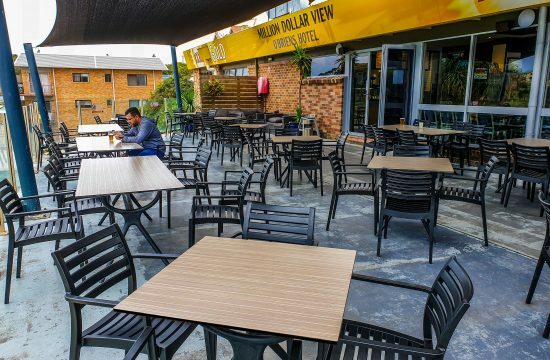 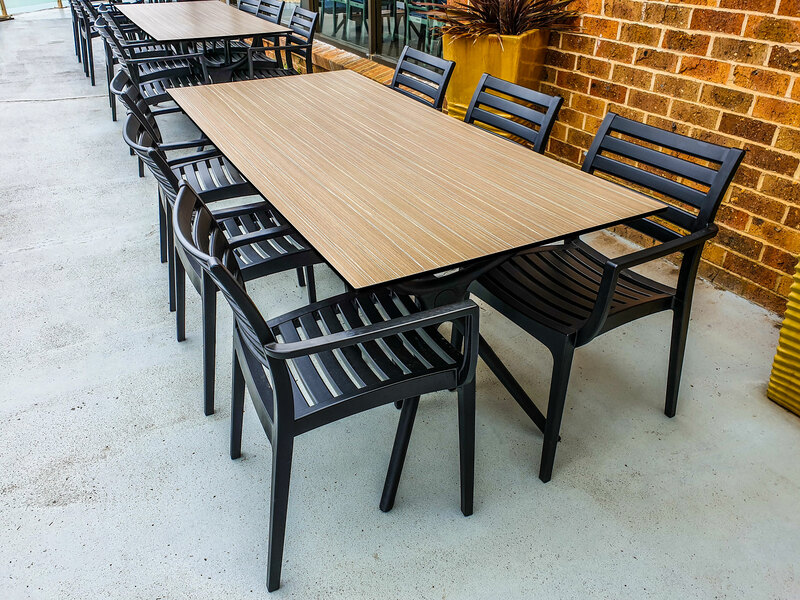 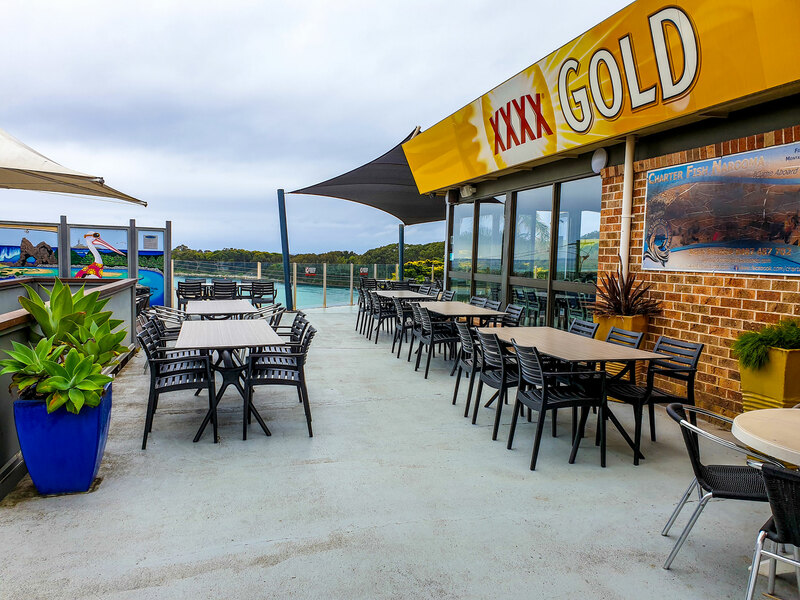 Featuring a large outdoor dining area you can enjoy a meal while taking in the views, place a bet in the sports bar, or simply enjoy a cold one after a hard days work. 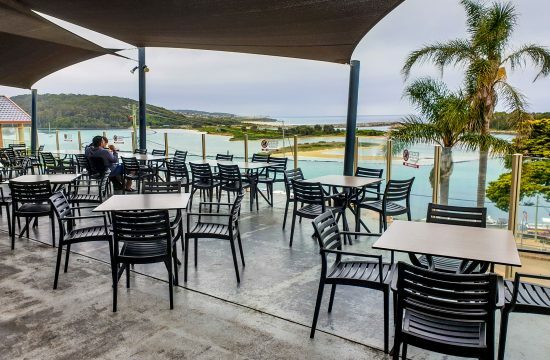 Narooma is a town in the Australian state of New South Wales on the far south coast. 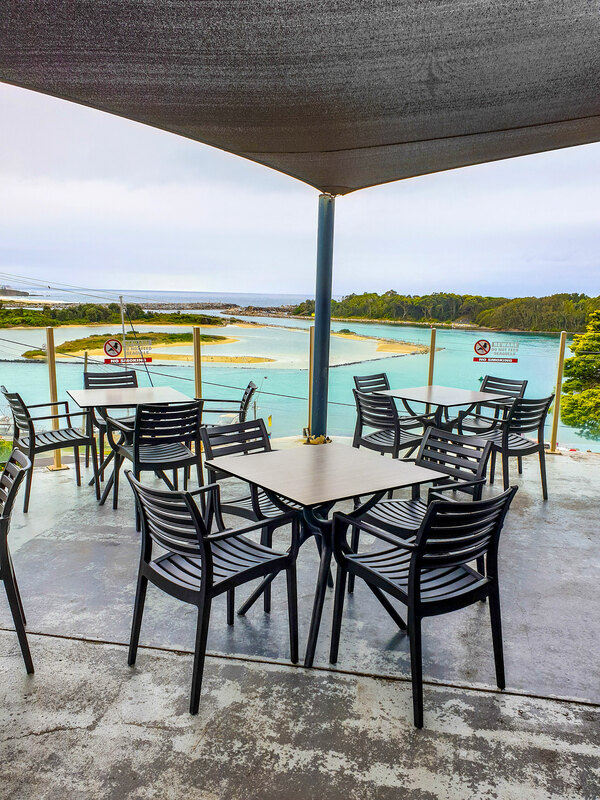 The town is on the Princes Highway and the name Narooma is said to be derived from the Aboriginal word meaning ‘clear blue waters’. 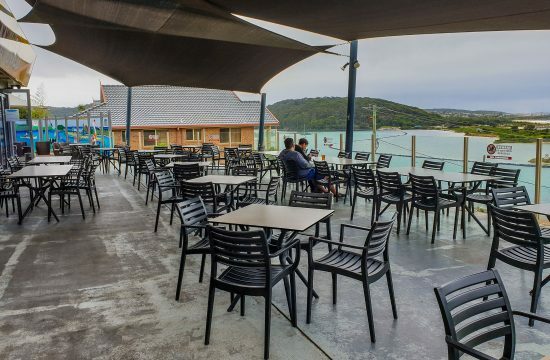 At the 2016 census, Narooma had an urban population of over 3,000 people. 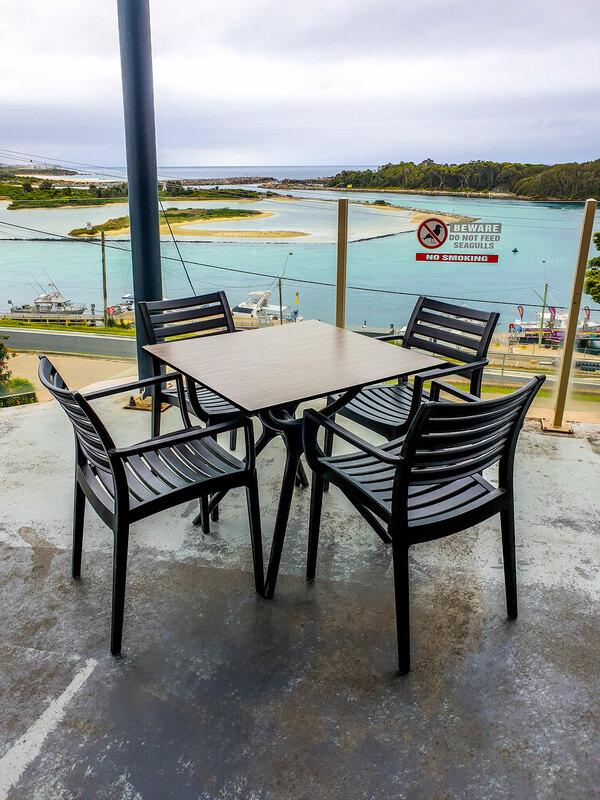 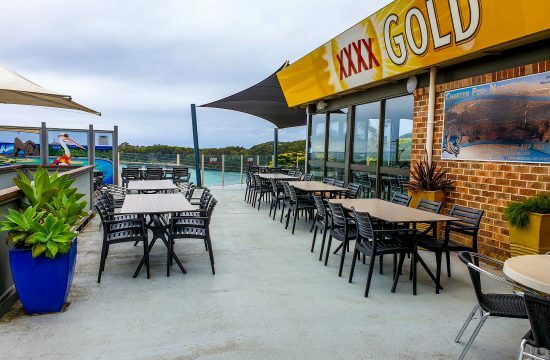 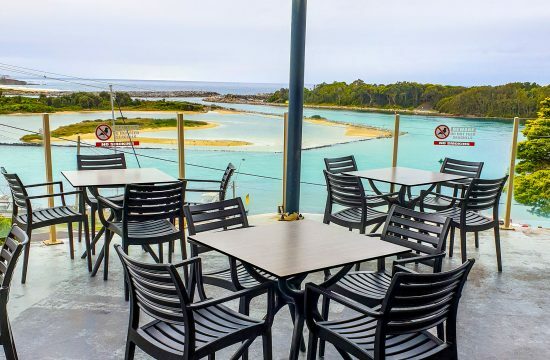 Narooma Hotel is known for its million dollar views. 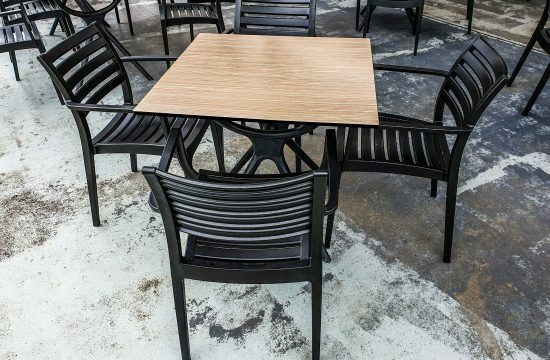 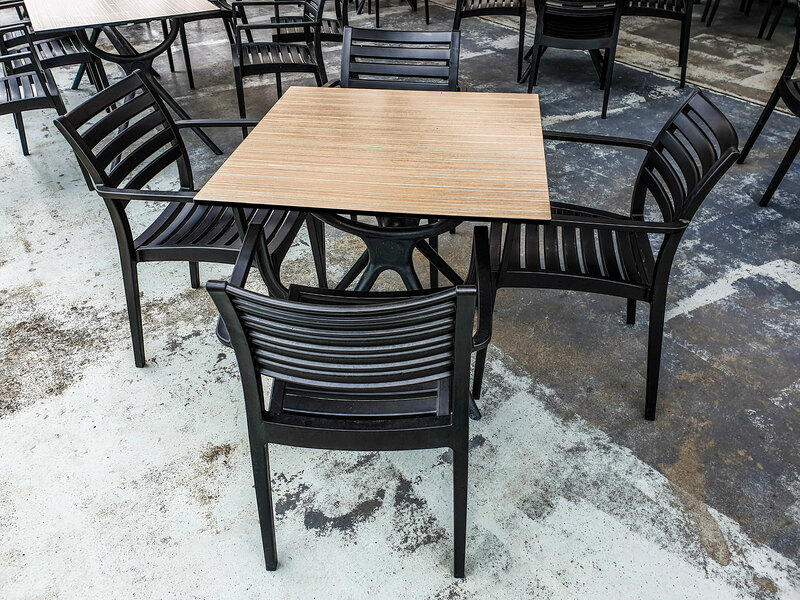 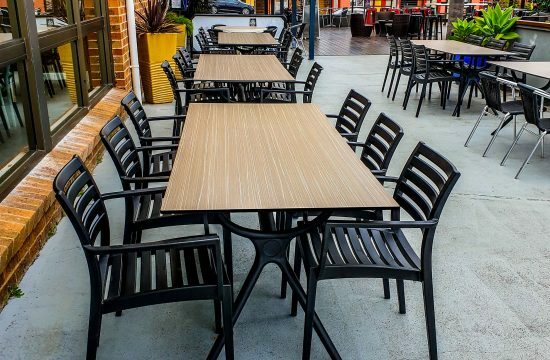 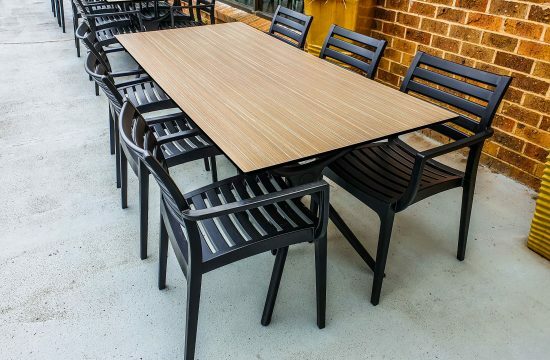 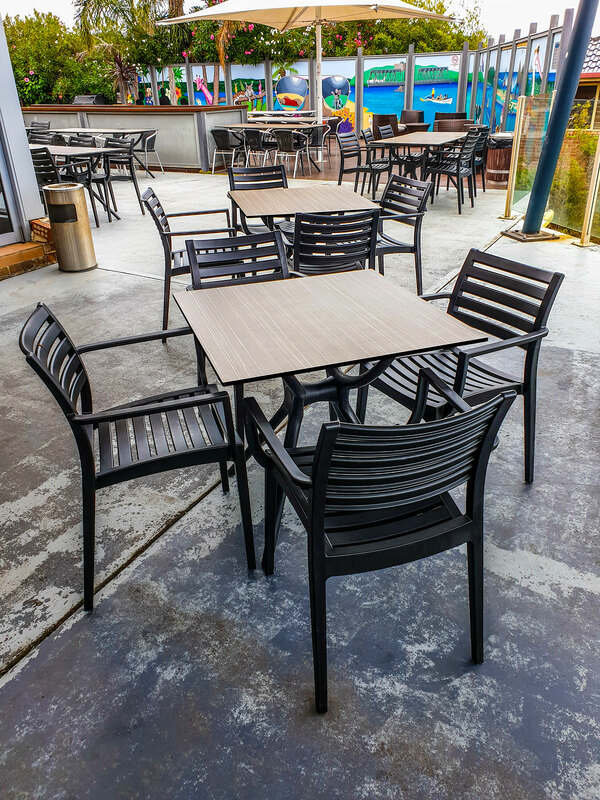 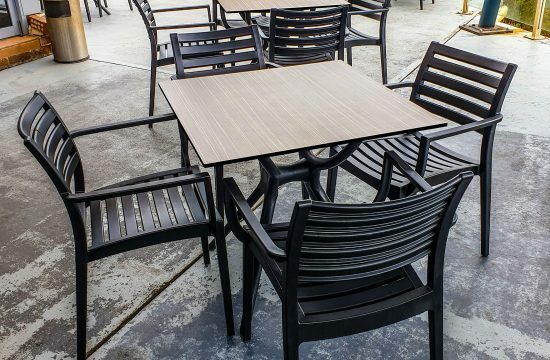 To enable patrons the best opportunity to enjoy this view, Nextrend Furniture supplied black Artemis Armchairs, black Air Legs and Compact Laminate Table Tops.